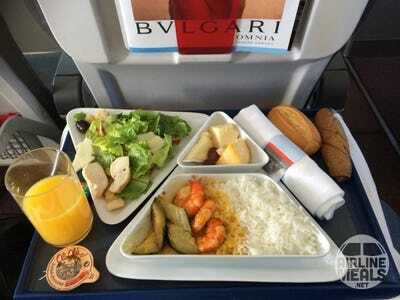 Nobody expects the food on aeroplanes to be good. But some do it better than others. 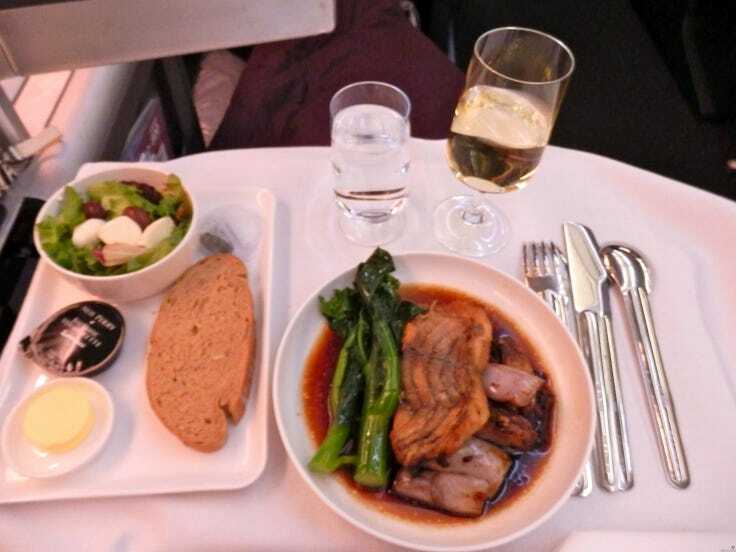 The “World Airline Awards” compiles an annual ranking of the best meals you can get when flying in business class. 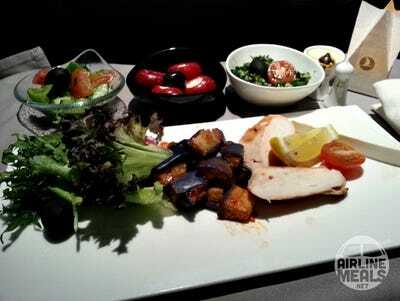 We got photos of those dishes from AirlineMeals.net, an online database of thousands of photos and food reviews from airlines around the world. 10. South Africa Airways. 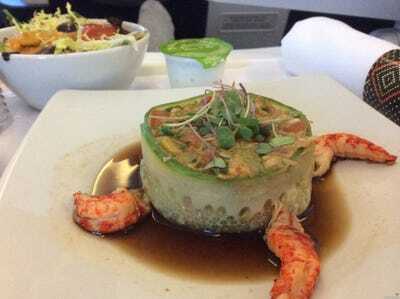 When flying out of Johannesburg you could try this sophisticated crayfish and chicken timbale. 9. Emirates. 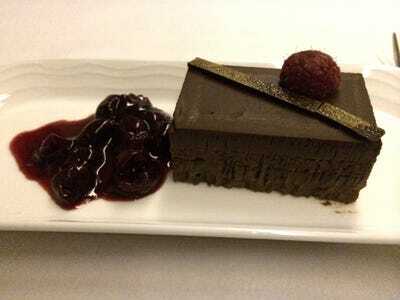 This chocolate ganache cake, served on a flight from Dubai to Dallas, looks super yummy. 8. All Nippon Airways. 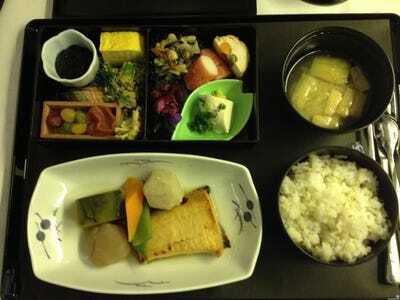 If you fly to Japan, expect some sushi to be served. 7. Etihad Airways. 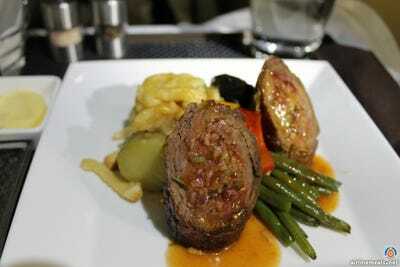 The Abu Dhabi company serves this glorious beef roulade with pastrami on flights to Germany. 6. Qantas Airlines. The Australian carrier serves sea bass and broccoli with a side salad on flights to Sydney. 5. Austrian Airlines. The small flag carrier of Austria has cute triangular dishes. 4. 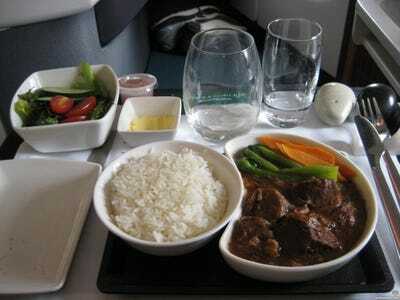 Cathay Pacific. The Hong Kong company serves this dark vinegar braised pork in a kidney-shaped bowl. 3. Qatar Airways. 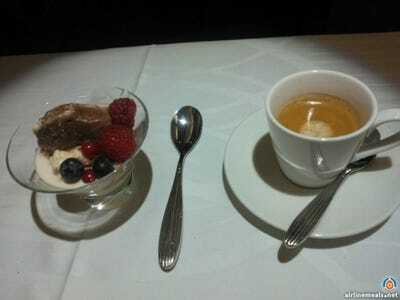 Ice cream and coffee -- simple but done well. 2. Oman Airways. 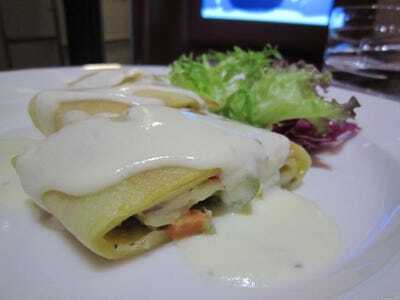 This vegetable and mushroom strudel has the airline punching above its weight. 1. Turkish Airlines. This selection of quick bites as a starter says it all.